Bet365 Online Casino Review, Bonus Codes and More! In this review, I analyze the software and offer of Bet365 Casino, a site that operates with a license released by the United Kingdom Gambling Commission. Read on to discover my tests on their welcome bonus offer, on the games available, and on the live dealer offer. As an experienced casino player, I have to say the welcome bonus at Bet365 Casino is a pretty good one, even if I has to use a bonus code to get it. 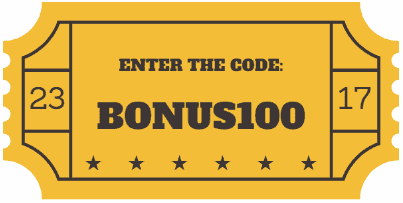 While I would have preferred to get a no deposit bonus - but I know it’s becoming very difficult to find a good no deposit promo these days - the code BONUS100 helped me get twice the money I deposited to play. Don't forget to read the T&Cs before claiming the bonus. The most important point is that the regular bonuses have a 15x playthrough requirement. Important: This bonus is valid for new Casino customers only. The minimum deposit is £10. Applies to first deposit to Casino only. The maximum bonus is £100. 15x wagering (game weighting applies) on deposit and bonus to make the bonus balance withdrawable. Time limits and T&Cs apply. From time to time, Bet365 runs also other time-limited promotions like the huge Lucky Monday draw they have running right now, with a possibility to win up to £50 every time you enter. For more info about the time limited promotions and bonuses available at Bet365 in 2018, I suggest you visit the Promotion on their site. I didn’t need more than five minutes on Bet365 Casino to understand I quite liked the site. The interface is quite straightforward and the lobby features everything I need to understand what the room is about and what games I can play. I like when a casino site does not ask me to download a software or install games on my hard drive. Plus, I use my MacBook for this review - so a casino software to download would ha been a problem. At Bet365 Casino I can play from the browser and my tests on Chrome and Firefox went quite well. The games load fast and the waiting time to get the slots to appear on my screen is not too painful. Perhaps I am not a fan of green websites, but that’s their brand colour - so I believe it’s not something they are going to change anytime soon. As soon as I opened an account (which, by the way, doesn’t cost anything and does not require even a credit card number) I access to an amazing selection of games by all the best developers in the world. Right in the Casino section I found all the top slots game from developers like Playtech, Microgaming, Boss Media, Dynamite Idea, Electracade, NeoGames, Ash Gaming, Finsoft, Cryptologic, Betsoft, IGT, NextGen Gaming, Skill 4 Prizes, Blueprint Gaming, and Amaya Gaming. All the major hits are there. Whether you want to play Mega Moolah, Jugle Jim El Dorado, or Jackpot Giant, everything is right there where it is supposed to be. The whole Age of Gods saga is there, too. This is great news because I consider these ones to be the best slots games of 2017 by far. What’s on the Vegas section? Jumping to the Vegas section, I found a lot of my favourite games by NetEnt. From Jack and the Beanstalk to the 2016 hits Guns n’Roses, Motorhead , and Jimi Hendrix - everything is there. I hope you won’t hate the fact that I indulged on some classics like Iron Man 3, The Incredible Hulk, and Sherlock Mystery, but I am an old chap and I like old games too. I didn’t give a shot at any of the progressive games on offer, but those are available too. At present, the global prize pool is of over €20,000,000 but I am not after the big win - so I don’t care. I did play some table games, though. I really enjoyed how my Bet365 Casino gave me access to great live casino games with limits that start from as little as €1. Live Blackjack is my favourite live dealer game at Bet365 Casino. I really enjoyed the time I spent with the dealer and I also won quite a lot of money. That is because I used to be a blackjack pro and I actually know how to play blackjack. Usually, every time I lose money at slots, I go back to the blackjack table to win some back. Bet365 Casino made no exception and I took my bankroll up to €110 in less than 30 minutes of play. What I couldn’t do, however, was to download an app for my iPhone. And that’s not me being a stubborn Apple fanboy - they don’t have an app for Android either. This isn’t to say Bet365 Casino isn’t mobile-friendly. You can play at Bet365 Casino mobile as much as you want, provided you use the browser to access their mobile-friendly website. The mobile casino games at Bet365 are pretty good, but I am not a fan of in-browser play when I am on my mobile. So, if any of you Bet365 Casino guys will ever read this review - please, give me a mobile app and you’ll make me a happy bloke. If you are used to my reviews, you should know I care a lot about the sites customer support service. I tried to reach out to Bet365 Casino support several times, and my experience was always positive. My favourite option is the instant live chat, even if their guys did a good job also when I contacted them via email at support-eng@customerservices365.com and I called them at 01782 684 757.
and 0800 7810 365 as well, but I wasn’t in the UK when I wrote them and I had no access to these numbers. As a long-time Bet365 user, I can say that their casino platform matched the expectations I had when I started my review of their site. I have been on their sports betting poker for as long as I can remember, and I was afraid their casino site would somehow be an inferior product launched to ride the casino hype. On the contrary, I found it to be a solid alternative to more established names in the industry and a casino site that features pretty much everything I need to enjoy some online games. The lack of a native app for iPhone is the only setback, but it still doesn’t change the fact that I believe Bet365 Casino is an excellent gambling site.